CloseCross is live on testnet — try it out! CloseCross is the world’s first truly decentralised derivatives platform driving democratic participation. By introducing simple 3-click-trading, eliminating unquantified risks, and making trading 90% cheaper, CloseCross gives everyone the opportunity to participate in the $1200 trillion financial derivatives market — without beeing a financial genius with access to tons of money. We are — Decentralized. Democratized. Transparent. Just as promised we are extremely proud to announce that the CloseCrosstestnet is now live and accepting beta testers. CloseCross exhibited at WebSummit 2018 and the announcement was very well received. There is a significant bounty of up to 20’000 CLOX waiting for our first testnetters. Help us get your feedback, learn how multi-party derivatives work, win prizes for special events and help us spread the word. You will first need to join our Telegram community here. You will receive information on referral process once you sign-up yourself. 2. Send us the email address associated with your iOS account(s) where you want to test the app. 2. Once we enrol your email ID, you will receive an email invite to test the CloseCross application. 4. Send us the wallet address and we will deposit 5000 CLOX0 for you to start testing and participating in VPFs. This will take up to 48 hours max — in most cases only a couple of hours. Now you’re all set to start participating in the listed VPFs. You can even request a VPF you don’t see listed yet. We are working out extra rewards for super active participation in VPFs and for sending us solutions, feedback, etc. In the meantime, we will keep track of your engagement at a high level so that you do not miss out on any earned rewards. 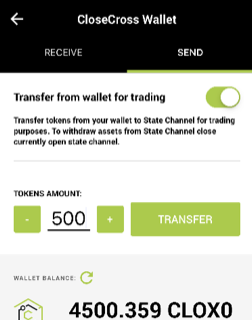 Special Note: We will be conducting control on all beta testing accounts to control possible fakes and ensure compliance with KYC standards leading up to the main launch of the app. 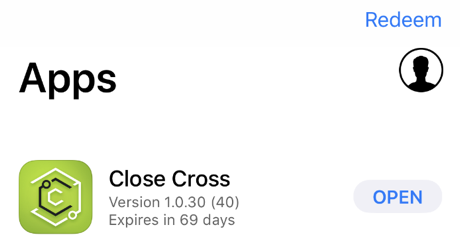 Extra Special Note: For testnet application you will be using the token CLOX0 — that’s a zero value CloseCross token for beta testing. 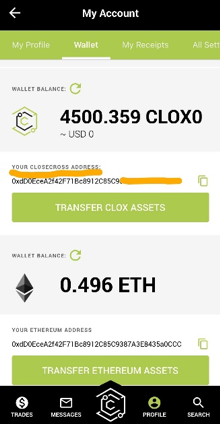 The bounty you will receive will be in actual CloseCross tokens denoted by CLOX. These will be released to you at completion of ICO/TGE. Thanks in advance for helping us drive innovation forward and bring CloseCross to the world — the decentralised world of decentralised derivatives!